The rugged northern Mexican state of Chihuahua is home to the indigenous Tarahumara people, known locally as Rarámuri. During the 16th century most of them retreated into the dangerous mountains & canyons of the Sierra Madre in order to escape Spanish slave raids and Christian missionaries. 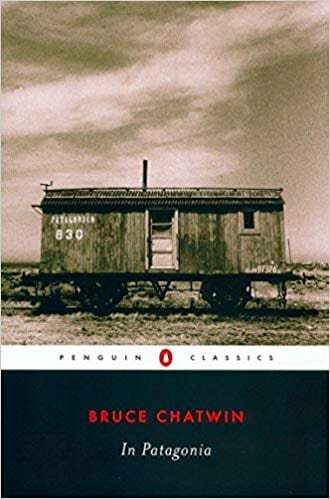 This formidable wilderness was where they attempted to continue a traditional way of life largely uninterrupted by the outside world due to it’s inaccessibility. After centuries of relative seclusion, roads have started to penetrate deeper & deeper into the canyons — bringing change with them. 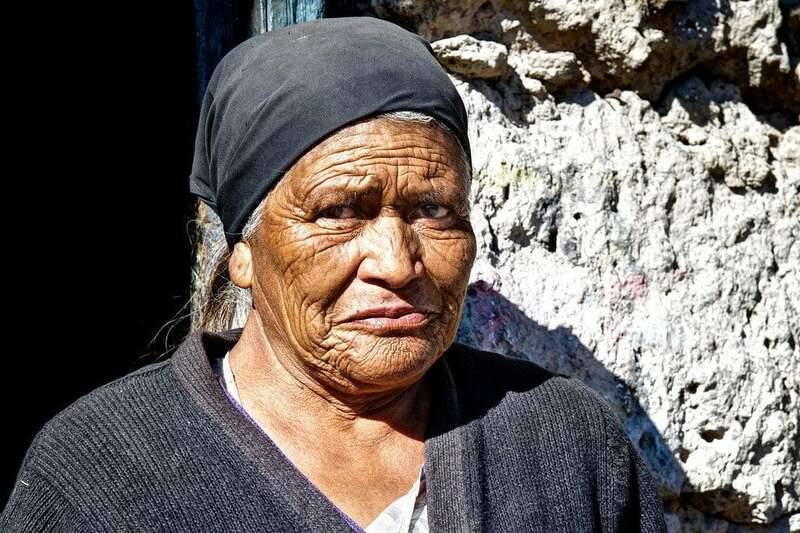 Today the Tarahumara population hovers around 50,000. Many have started adapting to the modern world knocking on their door. Most Tarahumara live in small wood or stone cabins, but about 5% still reside within the countless mountain caves & rock outcroppings that dot the landscape. Petra is part of this 5%. I first learned about Petra from my new friend Alfredo. While driving back to the town of Creel, he pointed out some smoke rising from a rock outcropping, explaining that an old Tarahumara widow lived inside the cave found there. Intrigued, I decided to meet her myself. I’d never met anyone who lived in a cave! So the next day I rose at 5am and marched about 2 miles through the crisp mountain air. October weather in Mexico will produce frost on the Sierra Madre mountains. They even get snow here with an elevation of almost 8000 feet. How warm could Petra’s cave possibly be in this cold mountain air? Arriving in front of her home, I kept my distance until Petra noticed me from afar. 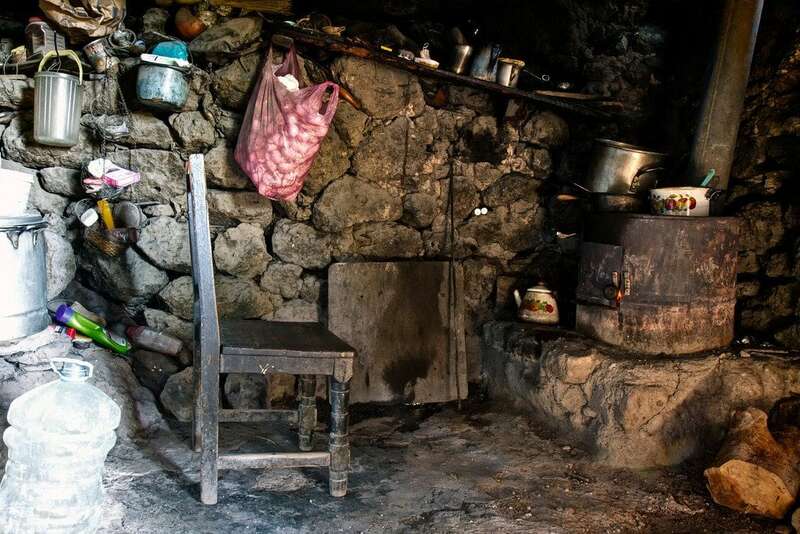 For the Tarahumara, visitors are expected to wait like this until they’re acknowledged, rather than go knocking unannounced. She seemed a bit shocked & amused to see a lone gringo outside her cave so early in the morning. But I could tell she was very proud of her home — and welcomed me inside for a tour. Petra has lived in this cave all 68 years of her life. Not to mention raising 7 kids here too. It’s a part of who she is. Warm & Cozy Mountain Home! Petra actually enjoys living in cave so much, that when the Mexican government built her a wooden house next door, she refused to live in it. As I bent down to enter the cave, the first thing that struck me was how warm it was inside! Its entrance is enclosed by a stone wall which traps most of the heat produced from a small stove. The second detail that caught my attention was how bright it was, despite a lack of windows. Petra’s cave faces Southeast, allowing natural sunlight to filter in through the doorway for much of the day. At it’s largest section the enclosure is just over 6 feet tall. Petra’s cave home is maybe 100-150 square feet in area. It includes 2 beds, a cabinet, dining table, chairs, and storage space in back where the ceiling starts to get low. Her kitchen consists of cooking utensils, a shelf, wall hooks, and a small woodstove made from half a steel drum. 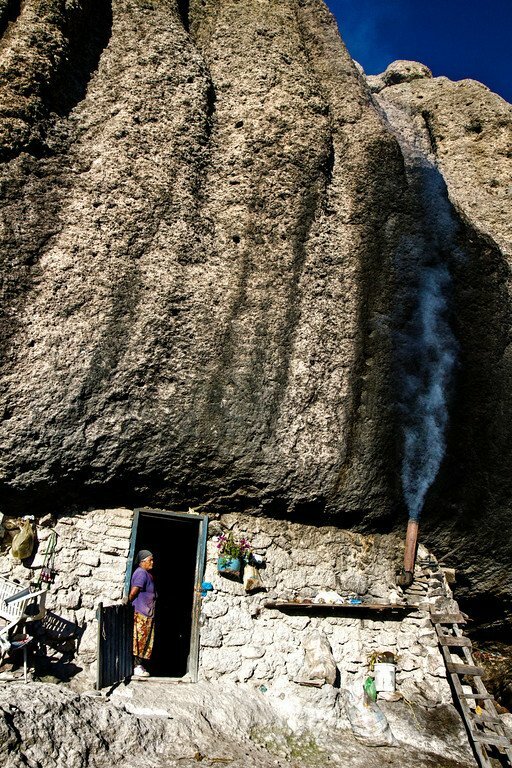 Smoke from the stove is shuttled outside via a pipe through the rock wall. This tiny stove keeps Petra’s cave surprisingly warm, with very little smoke residue. And while I had to duck inside, the ceiling height was no problem for her, as she’s only about 5 feet tall. Petra keeps a few different gardens out front with corn, beans, squash, garlic, and other vegetables. Chickens were wandering around too. Free-range meat, organic vegetables, no electricity bill — environmentally friendly & off-the-grid living. But when you think about it, isn’t this all we really need? Would you ever consider living in a cave? A day will come when ALL people in the world will live in caves, with ALL possible modern conveniences thrown in. Solar power will rule. Each cave family will have their own organic garden/natural forest to grow their own food and compost their own waste.Concrete jungles of today’s cities would be the getaways,not the centres of attention, as they now are.People in caves surrounded by nature and natural flora & fauna would be the paradise everyone yearns for right here on our beautiful Mother Earth. do you think it would be possible for someone to rent a cave in this area? How hard is it to access the cave dwellings? How far from a driveable spot are they? Wow Matt! I’m impressed. I came across your site through Google. I will be traveling to Creel next month and would like to meet Petra. How can I get to her? What a great way to spend a lazy Sunday! I can get so absorbed in your writing Matt and loved this story. Living in a cave wold be something I could easily do, just spent 10 minths in a 2 berth caravan with my daughters in Europe/UK.. so a cave would be fine too. This was written with such understanding, your passion shines through always. I wonder if we have people living in caves in the United States. In Appalachia maybe?? I could see this happening as the country is in a recession. Fascinating story as told by you. Enjoyed reading the comments section as well. The images you took are so vibrant and clear. What type of camera do you use on your travels? 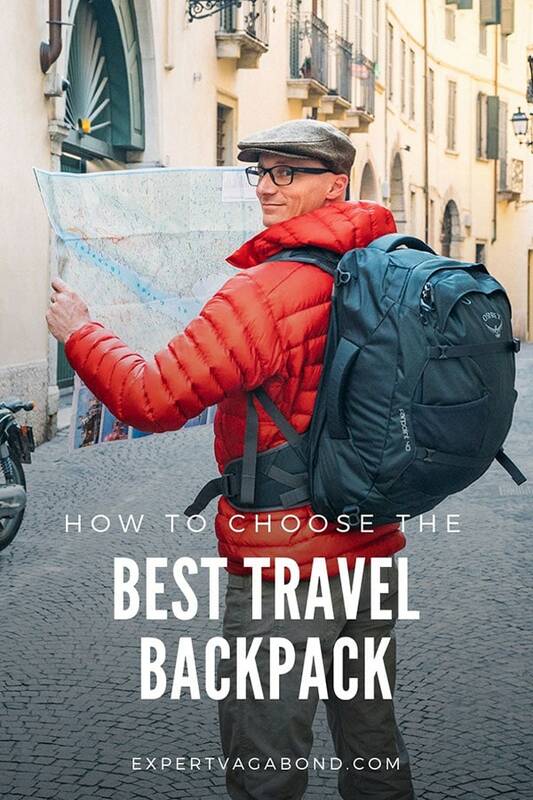 What camera to you recommend for the lay person that does not travel often?? But to take great pictures with. My great grandmother (paternal) was Tarahumara. Her visits to her America daughter’s home always invoked a sense of awe in me; to think that was my blood, my history. Wish I had learned more while she and my grandparents were still alive. Thank you for this post. No problem Belen, learning about & meeting the Tarahumara was an interesting experience for me. Happy to share it with others. What a privilege to meet a women like Petra. Makes you realize that we could live without all the clap trap we collect and think we need. Oh! for a simpler lifestyle. and your right, we could get rid of it all and go backpacking and have these wonderful experiences? She definitely made it look nice didn’t she. 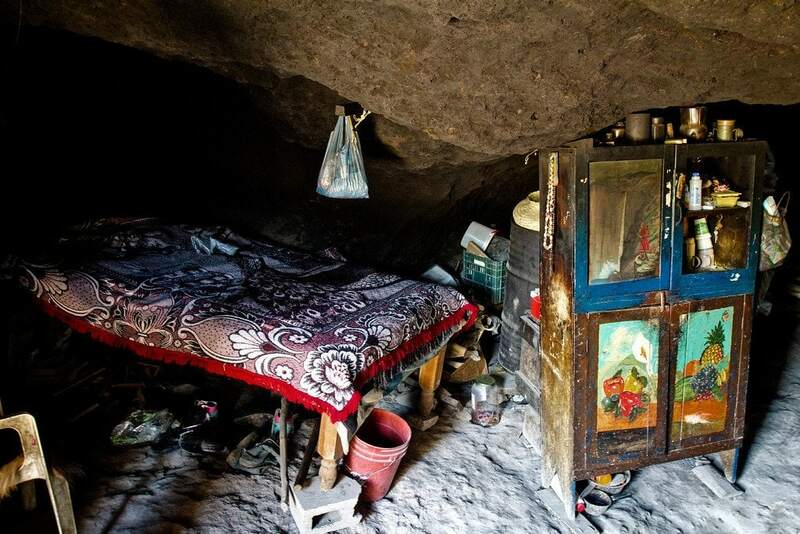 Just because you live in a cave doesn’t mean it has to look like a dump… you never know when you’ll have strangers come knocking! I wonder if Petra is the only one in her “neighborhood” that lives in a cave? I could totally live in a cave as long as it’s retrofitted and modernized with the conveniences that I’m used to (i.e., indoor plumbing, electricity, etc.). There are other caves in the area, but everyone lives pretty far apart for the most part. A whole network of trails links the communities though. Many of them are hidden from the main road. Fascinating! Just curious, does this cave home have a makeshift loo? Hi Rodger! Right now I’m in Thailand. Planning to stay here for 2-3 months. As for how long I spend in each country, it differs. Usually between 3-8 weeks. Sometimes longer if I’m really enjoying myself. This is shocking! 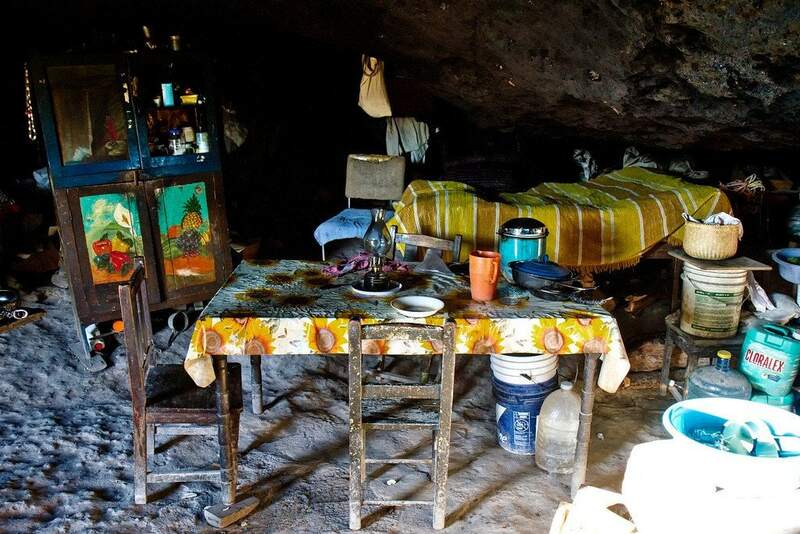 2,500 people live in caves in modern Mexico!! Thanks for sharing the story. Your photos of the simplicity of Petra’s lifestyle make me think about the real value of my life. What a wonderful glimpse of Petra. I’m so glad you took the time for such a thorough bio. And the photos really give great insight of the trip and the people. Wow! What an incredible experience. I love the pictures that you captured. Petra seems like a remarkable woman and has truly made that cave her home. Amazing! I only heard about the Tarahumara from the book Born to Run. That was nice of her to give you a tour. Is she near a village or kind of on her own? I would totally live in a cave. She has everything she needs and I think it would be an incredible fulfilling life. I believe that there is a beauty in the simplicity of living like this that you can’t experience anywhere else. I’m long to try it out, if only for a while someday. She’s as “Mexican” as you can get! :) Tarahumara are the native indigenous people of the region. Like Native American Indians in the US. Her closest neighbors are the same for the most part, although many live in wooden cabins now rather than caves. But I definitely saw other cave homes around. Yes, her life may seem simple, but it’s not easy for sure. The lines in her face at 68 can help attest to that. For me it seems like she may have a simple life devoid of many problems, but we’re all human aren’t we? I bet she’s has had her share of trials and tribulations over the years too. I’ve often fantasized about stepping off the grid for good, but I realized that I love the comfortable, fun life that I live. Going to hand and mouth would mean giving up traveling, and lordy no I can’t do that! Regardless this was a great read and insightful look into Petra’s life. I wanna know more about her background. How “Mexican” is she and what are her neighbors like?? I completely agree. I used to shop A LOT. I didn’t just love clothes, but it was also ‘something to do’. Especially when I was still at university, I had plenty of time to go shopping. Not that that was my only ‘hobby’ of course, but now that I don’t have that time anymore I realize that I don’t miss it at all. I prefer to spend my free moments (and my money) on other things. I did go on a shopping spree when I was in LA last year, but when I got back I decided not to buy anything for months (to compensate:p) and I thought it would be really hard, but it isn’t. Not at all. Another anecdote (sorry for taking up so much space here:)): I recently helped a friend move and she had so much STUFF. But I really mean just stuff, you know, like decorative things. I think a lot of people’s unhappiness is caused by ‘option stress’: we get stressy because we know of all the stuff we can buy and own in this world. Because we know something exists, we often want it and when we want it we have the stress of having to pay for it/having to decide which kind of it we want and so on. I think that’s part of why a lot of people living a very simple life, live longer and our often happier. Well put Sofie. I agree. Getting rid of all the crap I used to own to travel out of a backpack has been very liberating. But it’s also important to point out that while Petra’s life may be “simple” or “minimalist”, it’s definitely not easy. Thank you so much for sharing this story. There’s something to be said about living a simple, uncomplicated life, very noble. I’d live in a cave that had great lighting. I may be too spoiled by capitalism to choose to live such a simple life, but not spoiled enough that I can’t recognize that what Petra has is all a person truly needs. Lovely post and great photos, thanks! Cave living is not for everyone, but it’s good to know it’s a possibility! Wow, it’s incredible to think that there are individuals so committed to their heritage. Wonderful to see her so content with so little. I think more of us need to realise just how little we really need to be happy in life. A warm, comfy bed and some delicious food, not to mention the incredible view from up there! Brilliant Read. Glad you liked it guys. I too was impressed that Petra didn’t want to live in a free house from the government. Thanks for giving us a look too! Very honored that Petra let me check out her home. It looks cozy but is there room for a big screen TV to watch the Super Bowl this weekend? It reminds me of the first time I went to your parent’s home in Campton. They were in the middle of major renovations and there was a huge hole in the living room floor. You could see right down to the dirt. Ha! Petra can just go into town to watch the game. Wow! Your photos truly give us a glimpse into Petra’s unique home. Amazing story-thanks, Matt! Glad you liked it. Was very interesting to see how she lives.